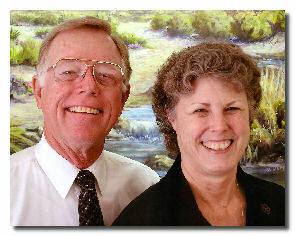 John & Peggy Cutts began as missionaries to war-torn Liberia in West Africa, and worked in Ivory Coast for a while. Due to Peggy’s health problems, they are now on assignment at New Tribes Mission Aviation (NTMA) in McNeal, Arizona. John is the maintenance man on the compound; repairing, remodeling and restoring buildings and equipment which enables pilots to be trained. They are also Bible study leaders at their church.